Administrative Law Judge Robert F. Helfand (ALJ), Office of Administrative Hearings (OAH), State of California, heard this matter in San Diego, California, on December 8, 9, 15 and 16, 2009. David Grey, Esq., represented Student and her parents (Student). Student’s parents were present during the hearing. Student was present for most of the hearing and testified on her own behalf. 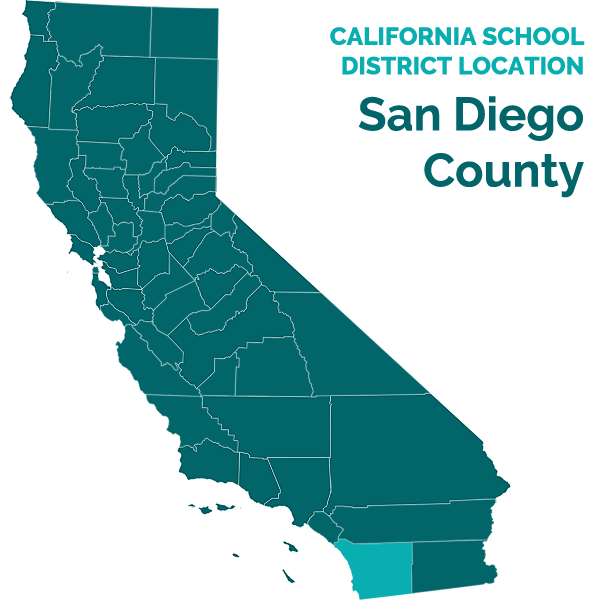 Brian R. Sciacca, Esq., represented the Poway Unified School District (District). Emily Shieh was present throughout most of the hearing. Tahne Golliwitzer attended in the afternoon of December 15, 2009. Student filed her due process request on July 29, 2009. On September 15, 2009 and September 29, 2009, the parties requested continuances. On September 30, 2009, OAH granted the parties’ continuance request. At the close of the hearing, at the parties’ request, the parties were given time to file written closing arguments. The matter was deemed submitted upon receipt of the written closing rebuttal argument on January 11, 2010. The parties stipulated that the decision due date would be February 1, 2010. The following witnesses testified during the hearing: Theresa Kurtz, Helen Williams, Dr. Alyson Mellish, Jeannine Ugalde, Jacqueline Solorzano, Gwen Suennen, Sandy Eisenberg, Christa Lyon-Moon, Susan Lage, Student’s father (Father), Student’s mother (Mother), Student, Ryan Tu, Patricia Brooks, Jennifer Philyaw, Reilly Embry, Holly Mehaffie, Jodi Payne, Juli Cheskaty, and Sheila Doctors. Did the District deny Student a free appropriate public education (FAPE) by failing to provide for computer assisted real-time captioning (CART) 1 services for Student in the May 18, 2009 individualized education program (IEP)? Student requests an order directing the District to provide CART for Student in all classes for this school year and additional time as compensatory education to account for the time it was not provided at the beginning of the 2009-2010 school year. 1. Student is a 15-year-old girl who lives within the jurisdiction of the District and is currently in the ninth grade at Del Norte High School. She has profound hearing loss in both ears. She is eligible for special education under the eligibility category of hearing impairment as her profound hearing loss results in auditory and language and speech delays adversely affecting communication and academic progress. She has attended general education classes along with her typically developing peers throughout her education. 2. Student’s hearing loss occurred at the age of five months as a result of meningitis. Without amplification, Student can only hear loud noises such as a siren or jet noise. Student received a cochlear implant in her right ear at 22 months. She wore a hearing aide in the left ear until receiving a second cochlear implant around the end of April 2009. Even with her cochlear implants, Student cannot hear everything spoken. She supplements what she hears with lip reading to understand most of what is said. 3. A hearing aid is a sophisticated sound amplification system. Because of digital technology, the device can be adjusted to amplify certain types of sound and not others. 4. A cochlear implant is an electronic device, part of which is surgically implanted in the head of the deaf individual. Sound is picked up by an external processor, converted to energy and sent into the implanted computer chip. Based on the energy received, the device stimulates the nerves in the inner ear, which then transmit information to the brain. Unlike a hearing aid, the cochlear implant stimulates the ear itself; it does not merely make the sounds louder. 1 The Code of Federal Regulations defines “CART” as “communication access real-time translation.” (34 C.F.R. § 300.34(c)(4).) For purposes of this case, the system described in the federal regulation appears to be the same system as the one Student describes and the term “CART” will be used in this Decision to refer to both. 2 Mellish currently is an audiologist at Rady Children’s Hospital of San Diego. She received a B.A. in communication disorders in 1999 from Louisiana State University, a M.A. in audiology from the University of Colorado in 2002, and a Doctorate in audiology in 2006 from the Pennsylvania College of Optometry. She has worked as a licensed audiologist since 2002. 3 School years 2006-2007, 2007-2008, and 2008-2009. 5 Student was repeating Algebra I for the second year. 6 Closed captioning displays a transcription of the audio portion of a television or video program as it occurs. 7 The other system is C-Print which is similar to TypeWell. 5. Student underwent audiograms on March 23, 2009, and July 30, 2009. An audiogram is a graphic reading of hearing ability. Alyson Mellish, a licensed audiologist, who conducted the July 30, 2009 audiogram and who has treated Student for four years, interpreted the results. 2 Mellish stated that conversational speech is in the 40 to 60 decibel (dB) range. The March 23, 2009 audiogram, which was done prior to Student receiving her second cochlear implant, demonstrated that Student could hear only 24 percent of words spoken with background noise at 47 dB with her right ear and 38 percent of words spoken using both ears. In July 30, 2009, after receiving the second cochlear implant, Student could hear 52 percent of words spoken in noise at 45 dB with both ears. This compares to a person with normal hearing who is able to hear between 90 and 100 percent of words spoken in noise. Mellish concluded that Student hears approximately 52 percent of what is said in real-life situations. 6. At the November 3, 2006 annual IEP team meeting, the team discussed that Student, then a sixth grader, was having trouble understanding information from media materials because of background noise. At an IEP team meeting on April 5, 2007, Mother requested that the District provide transcription services for Student as she sometimes struggled to keep up with what was going on in class and would at times miss information regarding assignments, projects, and tests. The Deaf and Hard of Hearing (DHH) teacher, Nancy Simpson, stated that the District was exploring such options. 7. At the annual IEP team meeting on October 30, 2007, Mother again requested that Student receive transcription services as she was concerned that academics would grow increasingly more difficult as teachers utilize more lecturing and classroom discussions. Simpson, who was present at the meeting, stated that the District was in the process of acquiring that accommodation although there was no timeline as to when it may be available. 10. On October 21, 2008, the IEP team conducted an annual meeting. In attendance were Student; Mother; Susan Houle, administrator; Holly Mehaffie, special education resource specialist; Simpson; and Student’s two teachers, Susan Lage, science and Algebra, and Jeannine Ugalde, language arts and social studies. The team reviewed Student’s then grade levels: B+ in Algebra, B+ in science, B in language arts, and C in social studies. Ugalde and Lage reported that Student was missing information during class. Both offered to meet with Student outside of class to go over notes and check for understanding as to what occurred in class. The teachers also reported that the use of the FM system appeared to assist Student in the classroom setting. The team determined that Student had met all goals from her previous IEP, and she exceeded grade level standards in writing. The IEP team set two goals for Student. One was that she continue to use a FM auditory system. The second was to use written or oral form to “demonstrate that she comprehends new vocabulary and/or concepts being presented in the 8th (9th) grade curriculum with 85% accuracy as measured by teacher records and progress reports.” Mother expressed concerns about Student’s upcoming transition to high school and inquired about a future meeting to deal with the transition. Mother also requested that Student be provided with transcription services. Simpson acknowledged that Student would require transcription services in high school. Simpson told Mother that the District was in the process of acquiring such a system. 11. Student continued to do well during the eighth grade and received trimester grades for social studies of B-, B, and B; language arts of B, A-, and B+; physical education of A+, A-, and A+; Physical Science of B, B, and B; and Algebra of A-, A-, and A-. 5 Student scored in the “proficient” range in English language arts and Algebra I on the STAR testing in spring 2008. 12. There are two basic systems for transcribing speech to text to assist DHH pupils. The first is “word-for-word” which produces a verbatim transcription showing each word spoken in the classroom. The second is “meaning-for-meaning” which produces a transcript that condenses the language used while maintaining the meaning intended by the speaker. 13. The “word-for-word” system, CART, involves a stenographer who utilizes a stenographic (or court reporting machine) which creates a verbatim transcript on a laptop viewed by the pupil. The transcript appears almost simultaneously as the words are spoken. Sandy Eisenberg owns Total Real Time, a company providing CART services for closed captioning 6 and school districts. Eisenberg explained that CART operators are graduates of court reporting schools and must type at least 200 words per minute on a stenography machine and differentiate between four voices. The normal rate for a speaker is 160 words per minute. Eisenberg stated that CART has an accuracy rate of “at least 98 percent.” If an operator’s accuracy rate is at 95 percent, Eisenberg would find that insufficient. Pupils receive a disk with the transcript of the class daily. 14. TypeWell is one of two “meaning-for-meaning” systems. 7 The operator uses a laptop which is attached to a screen for the pupil to view. A shorthand system is used with software which translates the shorthand onto the viewer’s screen. The operator actually types the consonants of a word. For example, the operator would type “CND” which the software converts to “Canada” on the viewer’s screen. If the word produced is incorrect, the operator hits the comma key and another word with the same consonants will appear. There is a second or more delay between the typing until it appears on the screen. In the event that the operator must correct a word, the transcript stops until the correction is made. The transcript produced condenses what is said. Thus, a simple sentence would appear on the user’s screen in lieu of several sentences spoken. Christa Lyon-Moon is a District TypeWell operator. In 2005, Moon received TypeWell certification by taking the TypeWell training course which comprised of two months of home training with a two-day class at the TypeWell company offices. Moon also transcribes for students at San Diego State University, the University of San Diego, and the San Diego Community College District. Moon estimates that she captures between 70 and 80 percent of what is said in class. She did state that, where a speaker reads from a book, she does not transcribe the words as she is unable to transcribe word-for-word what is said. Instead, she will type out the name and pages of the material read. After class, she prepares a transcript which often includes bold or italic type where important information is said, such as assignments. Moon also does not always capture student input in class unless she feels it is important. The user receives the transcript several days later. 15. During the 2008-2009 school year, the DHH itinerant teachers reported to Theresa Kurtz, the District special education co-director, that parents of some DHH students were requesting that the District provide transcription services at the high school level. In February 2009, Kurtz, Melanie Black, co-director of special education, and her DHH staff met with Chris Roberts of San Diego Unified School District (SDUSD) to observe the transcription service in use by SDUSD. SDUSD utilized a “meaning-for-meaning” service. The District researched the systems and consulted with Roberts. Kurtz, Black, and two DHH teachers, Gwen Suennen and Simpson, met with the parents of three students who have cochlear implants, including Student’s parents. The parents requested that their children be provided with CART services as it was real-time and verbatim. The parents gave Suennen and Simpson a list of districts utilizing CART as well as articles on the CART system. 16. Around May 4, 2009, Mother, other parents, Simpson and other District staff attended a demonstration at a SDUSD high school of a “meaning-for-meaning” system. The demonstration was in a social studies class. Mother sat two inches from the screen and she noticed that the transcript lagged behind the lecturer and that portions of the lecture were not captured. The transcript was in summary form; and although it captured the gist of what was said, it was not complete. 17. During the 2008-2009 school year, Jeannine Ugalde was Student’s teacher in language arts and social studies. Ugalde has been teaching for 24 years and has been with the District since 2000. Although she found Student to be hardworking and conscientious, Ugalde noted that Student’s grades were decreasing as the school year progressed. Ugalde attributed this drop to Student’s lack of specialized vocabulary which negatively impacted her learning. Student’s lack of specialized vocabulary was due to her lack of access to vocabulary and what occurred in class because of Student’s hearing deficiencies. Ugalde noticed that Student’s summary of what had been discussed in class was often “very off” from what had been said. Ugalde admitted that she graded Student differently than her other pupils as she took into account Student’s hearing difficulties. This resulted in Student receiving higher grades then she actually earned. Ugalde opined that in high school, Student will need the opportunity to access “all of the language”; and that transcription will fill the gaps of information that Student is missing. 18. Susan Lage was Student’s eighth grade teacher for Algebra I and Physical Science. Lage has been a teacher since 2000. Lage described Student as a dedicated pupil who takes school seriously. Student was an “A” student in Algebra, a course she was repeating; while in science, she was a “B” student. Student would often ask questions to clarify what had been discussed in class. Lage feels that, even without transcription in class, Student would do either “A” or “B” work in high school math and “B” in Biology. Prior to the transition IEP meeting on May 18, 2009, Lage met with Student and discussed the types of transcription services available. Student stated that she preferred the CART system as it is “word-for-word” and accurately reproduces what occurs in the classroom. 19. Mother conducted research on the various transcription services. Shortly before the May 18, 2009 IEP meeting, Mother wrote a detailed three-page report entitled “CART-Real Time Captioning for [Student]” (Parent Report) which summarized her research. She forwarded copies to Student’s teachers and other members of the IEP team prior to the scheduled meeting. In the report, Mother laid out the results of her research and her observations at the demonstration at SDUSD; Mother opined in the report that Student needs a “verbatim caption that she can refer to and fill in as needed when audition alone is not sufficient.” Among her reasons that CART would be appropriate for Student were: (1) CART will enable Student to have access to the same information as her peers; (2) Student may determine what is important in class discussions and not rely on a note-taker’s interpretation; (3) Real-time captions will permit Student to understand immediately if she misses something during class; and (4) CART will help Student in building vocabulary. 20. On May 18, 2009, the IEP team reconvened to plan Student’s transition from middle school to high school. Parents were in attendance as were Jodie Payne, a program specialist; Geralyn Murray, another program specialist; Carol Reeves, a DHH itinerant teacher; Simpson; Suennen; Mehaffie; Ugalde; and Kelly Burke, an assistant principal at Del Norte High School. Mehaffie reported for Lage that Student continued to succeed in science and math as she maintained a “B” average in both subjects. Ugalde reported that Student’s grades in language arts and social studies had decreased because of her lack of access to vocabulary caused by her hearing deficiency. Ugalde noted that Student was not understanding much of what was said during class. Ugalde also admitted that she “cut slack on grades” for Student because of her handicap. Mehaffie and Simpson agreed that vocabulary was an area of concern for Student. Parents requested that Student receive the assistance of CART transcription services so Student would have access to a verbatim simultaneous transcript of class discussions. Parents reviewed the Parent Report with the team, and Parents concluded that a “meaning-for-meaning” service would not be “worth the money.” The team agreed that the criteria to be used to determine which transcription system would be appropriate for Student were Student’s progress on her single IEP goal, her grades, and the input of Student’s current teachers. During the meeting, the District team members refused to discuss which system would be furnished at the high school as “a specific methodology cannot be determined by the IEP team.” The IEP team then determined that transcription would be provided in classes with a lot of lecturing: English, Geometry and Biology. Parents refused to consent to the IEP, and Parents again requested that the type of transcription service be designated in the IEP. The program specialist offered to share Parents’ concerns that the IEP did not state what transcription service would be provided with the special education director. 21. On May 20, 2009, Mother emailed Ugalde and Lage, asking for their input as to which transcription service they believed would be most appropriate to meet Student’s needs. 24. On June 9, 2009, the IEP team reconvened at Parents’ request to discuss which type of transcription system would be provided to Student for her ninth grade year. Attending were Parents, Lage, Simpson, and Mehaffie. Parents once again contended that Student required CART to meet her needs. Simpson stated that the District had communicated with other school districts and learned that one student, who had formerly used CART, had switched to a “meaning-for-meaning” system as he had been overwhelmed by the amount of information presented in the verbatim format. Simpson concluded that she felt a “meaning-for-meaning” system was appropriate for Student as CART can be distracting as it includes transcription of student participation in the transcript. Mehaffie was not familiar with TypeWell and, until the May 18, 2009 IEP meeting, had not known what CART was. Simpson added that Student would benefit from transcription services. Parents refused to consent to the IEP. 25. Student was an “A” student in all subjects during the first trimester of Fall 2009. Student had preferential seating and teachers used an FM system in order to accommodate her disability. All of her teachers reported that Student is an excellent student who is well prepared and an active questioner in class. Many of these questions are to clarify what has been said or discussed in class. Student’s teachers attempt to assist her by repeating questions asked by class members or by paraphrasing what has been said by Student’s peers. Ryan Tu, Student’s Mandarin teacher, testified that Student often approached him after class to clarify the homework assignments. Patricia Brooks, her Geometry teacher, noted that Student constantly asked questions to clarify what was said in class. In English, Jennifer Philyaw observed that Student often repeats or paraphrases what others in the classroom have said in order to ensure she understood what was said. Philyaw pointed out that class discussion was an important element in her class. Juli Cheskaty, Student’s Biology teacher, observed that Student often missed things said in her class by both the teacher and fellow students. This resulted in Student asking lots of questions to clarify what had been discussed during class. 26. In Cheskaty’s class, TypeWell is used by another DHH student. At the request of District counsel, Cheskaty reviewed the transcripts of the November 19, 2009 class prepared by Moon. She estimated that the transcript captured about 93 percent of the content of the class discussions, but that the transcript failed to include all vocabulary words discussed. Part of the lesson included ten scientific names, however only five were present in the transcript. 27. Student is a pleasant and articulate 15 year old. Because of her hearing deficiency, she relies on her limited hearing and lip-reading to understand what occurs during class. Thus, Student must face the speaker to comprehend the gist of what is being said. Student must concentrate intensely to comprehend what is said in class which causes her frequent headaches. Frequently, she misses what is being said in class. She also is often unable to hear when her peers participate in class discussions and misses or misunderstands instructions and assignments. Student estimates that she must take much more time to do assignments and study than an average student in her classes to ensure that she understands what is discussed in class. She estimates that she takes three hours or more to complete an assignment that would take an average student one hour. Parents often assist her in this task. Because of the nature of her classes, it is important for Student to understand what is being said by her fellow students during class participation for her to learn the material. Student is constantly asking questions during class as well as meeting with teachers outside of class to clarify what was discussed in class. 28. Student was familiar with a verbatim transcription as it is the same as closed captioning. Student attended a demonstration of CART at a Miramar College philosophy class. Student was able to follow what the lecturer was saying as she used the screen to pick up those words which she was unable to comprehend from her listening and lip-reading. She attended a TypeWell demonstration at Stanley Middle School and has also utilized TypeWell during her Biology class on approximately three occasions. Student found the TypeWell real-time transcription confusing because (1) the operator was unable to keep up with what was being said and (2) not every word appeared on the screen. Student often looked at the screen to see words that she did not understand; and since the words were not always present, she became confused and lost her concentration. Student also liked that, with CART, she would decide what was important rather than the TypeWell operator. 29. Student’s expert, Jacqueline Solorzano, has been an auditory verbal therapist since 2005. Auditory verbal therapy is designed to teach a hearing impaired child to use hearing provided by a hearing aid or cochlear implant for understanding speech and learning to talk. She received a B.S. in child development from California State University, Fullerton in 1999, and a M.S. in education from the University of Southern California in 2000. She was an oral teacher to DHH students from 2000 to 2003, and a preschool special education teacher from 2003 to 2006. Solorzano has two adult children with severe hearing loss who have cochlear implants. She became familiar with CART five years ago when she researched whether it would be appropriate for her children. Both of her children use CART. People with cochlear implants have problems with background noise as all noises are equally amplified by the implant. This distracts the listener and inhibits the listener’s ability to attend to the speaker. Also, persons with cochlear implants often do not hear an entire word spoken but only a portion of the word. Because they do not hear everything, DHH students must fill in the gaps that are missed. Student does not hear everything spoken and uses lip-reading to assist her in comprehending what is being said in class. This requires Student to face the speaker in order to understand what the speaker is saying. Because CART presents a transcript almost simultaneously as the words are spoken, a person utilizing CART can glance down at the screen to see a word which the listener has not completely heard or is unsure about, or to catch up to what is being said by a peer in the classroom. 30. Solorzano observed Student in her ninth grade Biology class approximately one week prior to the commencement of the due process hearing. The class had a lot of background noise and the teacher kept the classroom door open which permitted additional noise. Since TypeWell was being used by another pupil, Solorzano was able to observe that the TypeWell typist failed to capture student questions and discussions during class. She also observed that the transcript often stopped while the typist made corrections. This can lead to confusion for a student since the transcript will lag the flow of conversation. In comparison to TypeWell, Solorzano opined that CART will assist Student in her goal to learn and understand new vocabulary and concepts since it allows the listener to almost simultaneously see a word, hear it and connect it to the context as the word is spoken. Additionally, Solorzano opined that CART will allow Student to feel a part of the class as she can keep up with and understand what is being discussed in class. This is especially so because CART captures fully the comments of other students in the class as well as the teacher. Thirdly, CART assists a DHH student in learning the skill of note-taking as it permits the student to follow along in real time. Based upon these factors, Solorzano opined that CART was appropriate for Student to meet her unique needs. 31. Sheila Doctors presently is a consultant and expert witness on behalf of school districts in matters involving communication methodology and cochlear implants, including interpreting services for students with hearing loss. She received a B.A. in English with a special education minor in 1967 from Brooklyn College. In 1978, she received a M.A. in education of the hearing impaired from Gallaudet University. Doctors was an English teacher from 1967 to 1971 in Buffalo, New York, and a DHH teacher from 1978 through 1982 with the Montgomery County, Maryland, public schools. Since 2005, she has been a private consultant. Doctors reviewed Student’s IEPs and a 2009 assessment as well as observed Student in three classes on November 19, 2009, and one class on December 1, 2009. The goal in providing transcription services is to provide the DHH pupil with equal access to information as hearing students have. In order to determine which transcription service is most appropriate for a student, it is essential to look to the student’s IEP goals and determine the level of support the student requires. Doctors noted that grades are not an important variable in deciding which transcription service is appropriate. Other variables to consider are the density of communication in specific classes, the student’s reading level, and the nature of the situation. Additionally, it is important to get input from the student. As for Student, Doctors felt that her high reading level was not a factor to consider. CART is a more appropriate system for use in classes with a high density of language. CART is more appropriate than the “meaning-to-meaning” systems in classes that are more language-dense, especially where lecturing is the main method of teaching. Doctors also testified that a capture rate of 70 percent of the material was insufficient. Student’s request for relief is granted and the District is ordered to immediately provide CART services for Student in English, Health, Geometry, and Biology classes. As compensatory education, the District is further ordered to provide with Student CART services until January 1, 2011, in language arts, social studies, and mathematics classes. Pursuant to Education Code section 56507, subdivision (d), the hearing decision must indicate the extent to which each party has prevailed on each issue heard and decided. In accordance with that section, the following finding is made: Student prevailed on the sole issue heard and decided in this case.